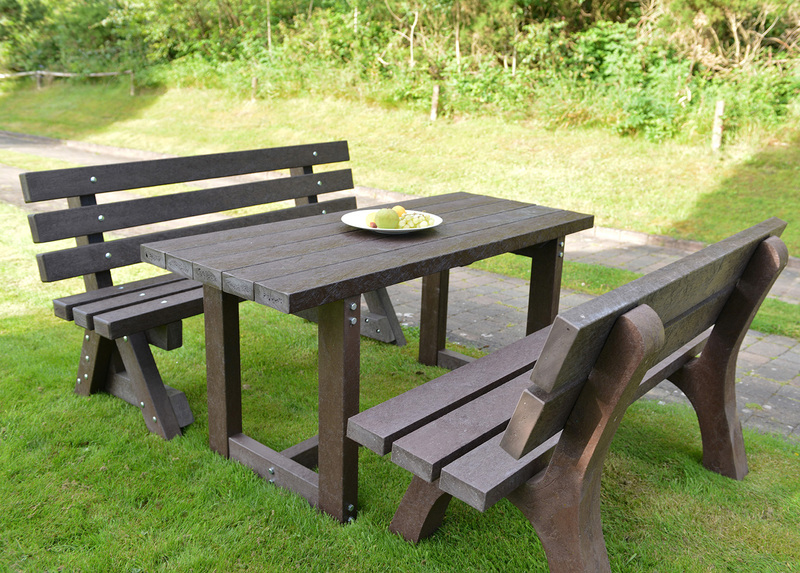 TDP have designed various Garden Sets to compliment their range of tables to match the recycled seats and benches already on offer. These Garden sets are completely waterproof, safe and designed to meet the most demanding applications from the school playground, pubs and clubs, urban environments, parks, recreation areas to a domestic garden. 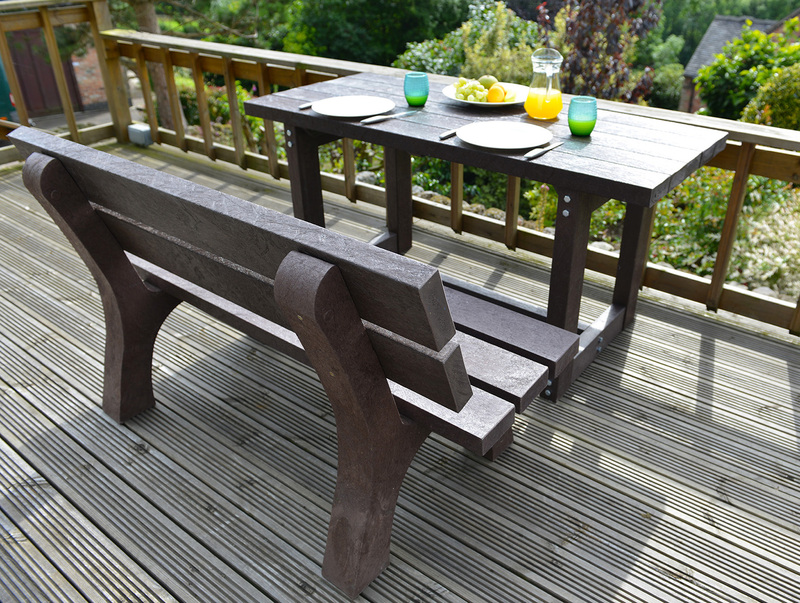 As our range is made from 100% recycled plastic, it means that there is no maintenance required, they will not rot or split, so can be left out all year without a problem.